So far I've made one trade on the day and that is in Lululemon (LULU). So now I have a grand total of "2" short positions which includes SodaStream (SODA). I'm also stalking once again CheeseCake Factory (CAKE) in hopes of jumping in around $33.30 or so. But the LULU setup is gorgeous. You have the triple top followed by a strong confirmation through support. 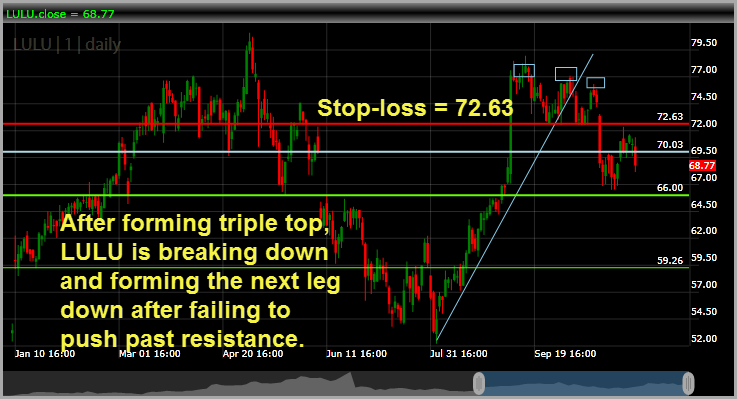 Then we get the snap-back bounce right back to resistance, which is where i re-shorted at $70.00. Ideal stop-loss is at $72.63 with an initial target of $66. 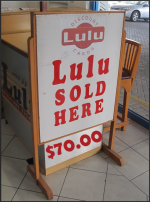 If things really pick up to the downside into tomorrow, LULU could see $66 get hit. Otherwise, I'll hold it into next week.